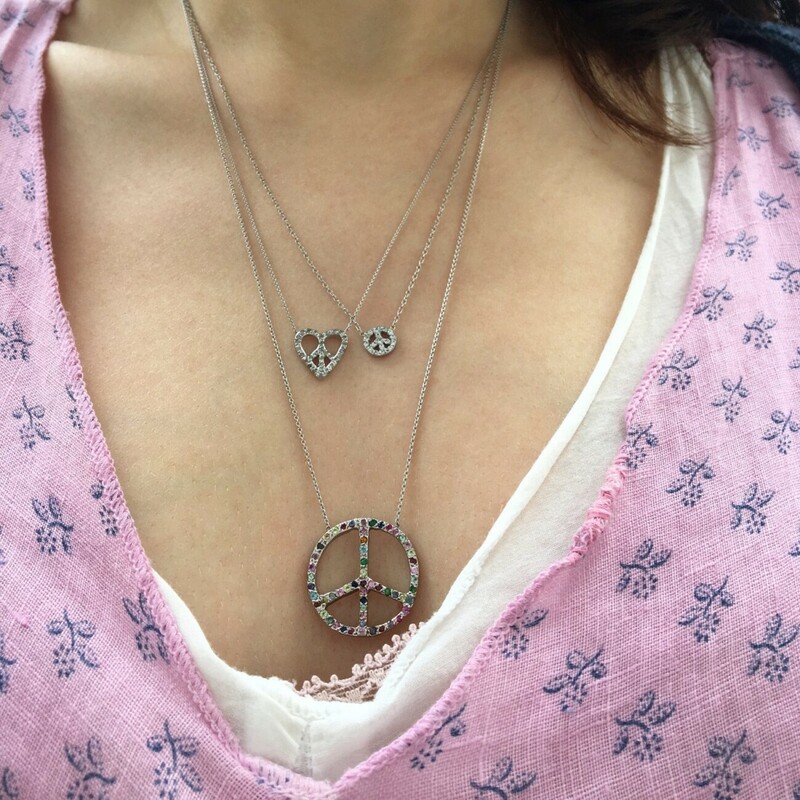 This necklace combines two beloved symbols, the peace sign and the heart. 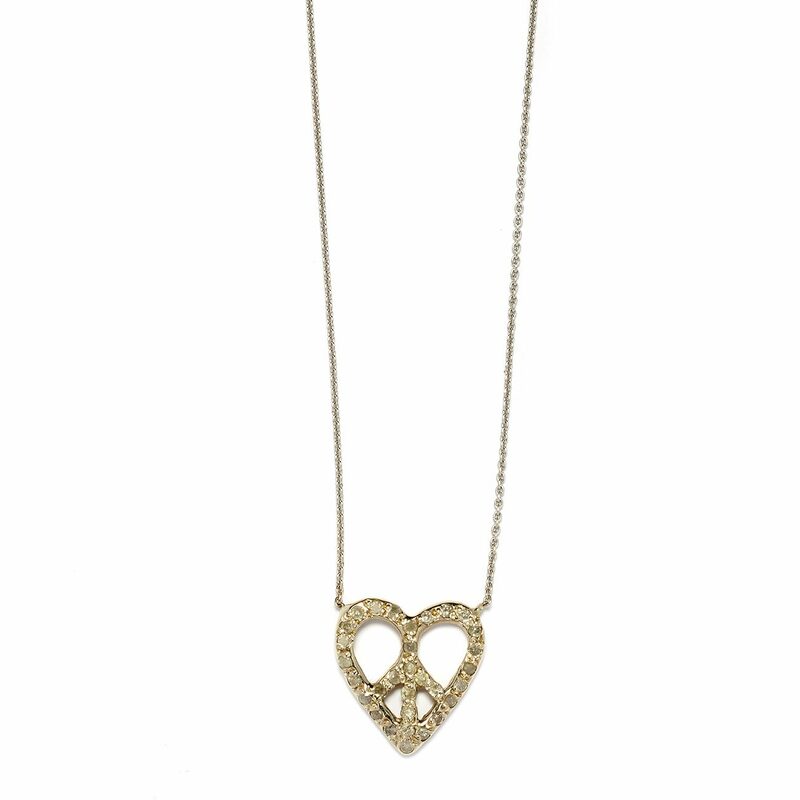 The 18 karat white gold peace heart necklace is set with 1mm gray diamonds. Handcrafted by Elisa.